"What can one be but frivolous about serious things? Without frivolity they are simply too tremendous." The life of Gilbert Keith Chesterton, like all lives, should not be summarized in a single word. Still, one asserts itself everywhere in his biographies: enormous. "He was close to 400 pounds," noted one chauffeur, in whose car door Chesterton was once stuck, "but he'd never give it away." Chesterton took his dilemma, like every other subject imaginable, with humor. He said he would have tried to exit the car sideways, but "I have no sideways." Chesterton's gargantuan frame held within it a gargantuan mind, and for this, more than his obesity, is he called enormous. Noted one critic, "Chesterton is recognized by essayists as the greatest of essayists; by poets as a magnificent poet; by humorists as a humorist of tremendous versatility; by philosophers as a profound philosopher; by controversialists as a deadly but lovable master of controversy; by political economists as a man of deep political insights; by novelists as a most able novelist; and by theologians as one who saw, sometimes, far deeper than they are able to see into theological truths." "I regret that I have no gloomy and savage father to offer to the public gaze as the true cause of all my tragic heritage," Chesterton wrote of his beginnings, "and that I cannot do my duty as a true modern, by cursing everybody who made me whatever I am." Born and educated in London, Chesterton first wanted to be an artist. In fact, he produced paintings and illustrations throughout his writing career. But growing up, he was mainly considered an absent-minded dunce. He once wandered around the playground during class, explaining he thought it was Saturday. His teachers believed him. His absentmindedness continued throughout his life, even after he was hailed as one of the greatest geniuses of his day. He once telegraphed his wife: "Am at Market Harborough. Where ought I to be?" She responded, "Home." "About what else than serious subjects can one possibly make jokes?" "The word orthodoxy no longer means being right; it practically means being wrong." These were not mere plays on words—Chesterton saw the nonsense of paradox as a "supreme assertion of truth": "Critics were almost entirely complimentary to what they were pleased to call my brilliant paradoxes," he admitted, "until they discovered that I really meant what I said." These, and other epigrams fill Chesterton's 70 books, hundreds of newspaper columns, and countless other writings, including those in his own magazine, G.K.'s Weekly. He is, however, considered "a master without a masterpiece," since there is no crowning achievement in his social criticism, literary criticism, theological treatises, or novels. Though many of his works are now forgotten, they have left a legacy on the world. Mahatma Gandhi was inspired by one of his essays in London's Illustrated News to nationalize India with a distinctly non-Western ambience. George Orwell borrowed the date 1984 from one of Chesterton's novels. Chesterton's apologetic works were key in the conversion of C.S. Lewis, and his playful style was adopted by that writer. Poet T.S. Eliot remarked that he "did more than any man in his time … to maintain the existence of the [Christian] minority in the modern world." And he did it all with joviality, even in such apologetic works as Orthodoxy (1908), historical theory in The Everlasting Man (1925), and theological biography in St. Thomas Aquinas (1933). Any subject may seem as "dull as ditchwater," he wrote, but added, "naturalists with microscopes have told me that ditchwater teems with quiet fun." Born and raised in the Church of England, Chesterton was long fascinated with Roman Catholicism. Upon questioning a Yorkshire priest with "some rather sordid social questions of vice and crime," he was surprised to discover the clergyman's profound understanding of evil. He then fictionalized the priest in his best-known works, the Father Brown detective mysteries (1911–1935). In 1922 Chesterton left Canterbury for Rome. Catholicism, he asserted, was the only church that "dared to go down with me into the depths of myself." He would have converted earlier, he told the hordes of shocked Protestants, but was "much too frightened of that tremendous Reality on the altar." 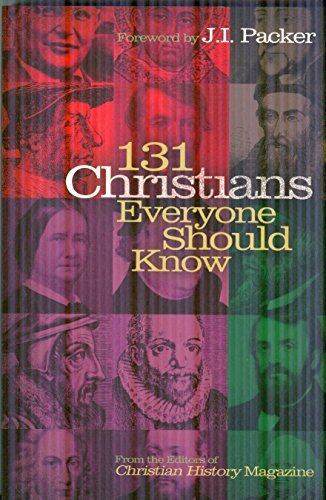 His conversion was followed by a few books on denominational topics, including some jabs at Puritanism and the Reformation. "But on the whole," one evangelical Protestant scholar is quick to add, "there has not been a more articulate champion of classic Christianity, virtue, and decency." Shortly after writing his autobiography, Chesterton fell ill and died. Authors from T.S. Eliot (who penned his obituary) to H.G. Wells, a longtime friend and debating opponent, expressed their grief. After the funeral, Pope Pius XI declared the rotund writer Defender of the Faith—a caption as true for Protestants as it is for Catholics.